Retaining walls are built in order to hold back earth which would otherwise move downwards. Their purpose is to stabilize slopes and provide useful areas at different elevations, e.g. terraces for agriculture, buildings, roads and railways. They are built to prevent soil erosion and also to facilitate the land which is quite hazard and uneven. These retaining walls can very well be built on hilly slopes, very sloppy areas and these retaining walls could withstand very firmly and serve as a source for roads, which could be constructed along their length. 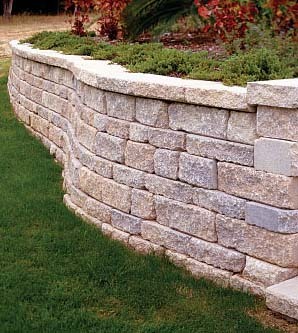 The retaining walls hold back earth on sloppy areas and stone. See the video on how stone retaining walls could also be constructed with retaining wall blocks to provide more firmness and rendering a different look to their design. When we discuss about constructing landscaping gardens in the houses to furnish more dashing and beautiful look, then, we often observe about landscaping walls that uphold the block of soil separately and few stones are also spilled over in small masonry or poured concrete walls. The landscaping walls are often constructed to drain water from rain, that would otherwise remain lying and you would need to execute other tasks to perform water drainage. 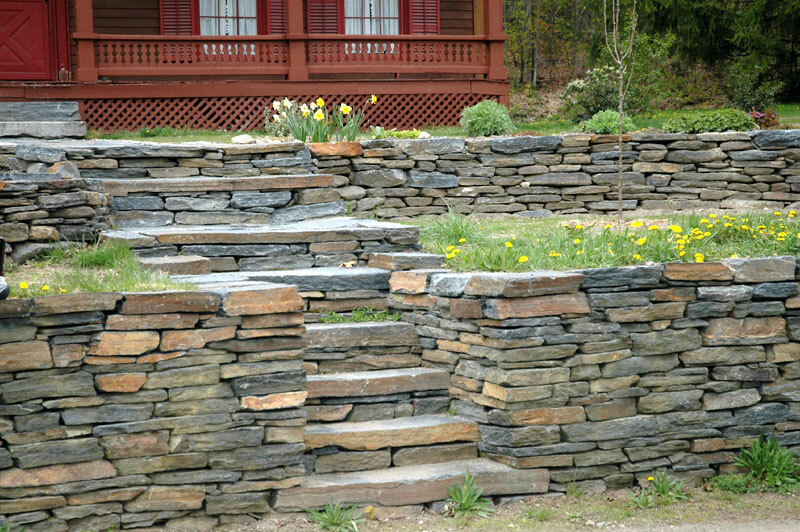 The materials used for the construction of these retaining walls may include rock or stone. 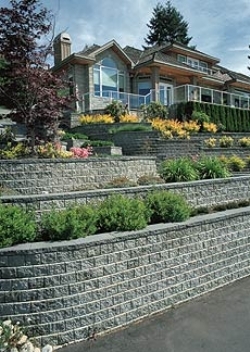 Retaining walls can be constructed to improve the decoration of the house. Decorative garden walls could render beautification to the house surroundings and also offer drainage water services. There are several types of retaining walls, which could be constructed by retaining walls contractors. Different types of retaining walls include wooden retaining walls, gravity walls, cantilevered walls etc. 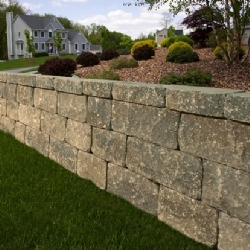 A professional retaining walls contractor should be hired for the construction purpose. While wooden retaining walls do not need too much of investment and only few dollars would be sufficient. Three cuts of woods may need to be nailed together to produce the wooden retaining walls. These types of walls are often constructed in the residential for household purpose. Moreover, gravity walls are constructed using mass of soil or stones, and rely mainly on the mass material and the cantilevered retaining walls withstand on the formula of distributing lateral pressure of soil into vertical pressure with the help of footer inside the earth surface. Gravity retaining walls uphold the earth or soil with the mass material and are usually of small height. Cantilevered retaining walls are usually built using little material and are inexpensive. These walls are constructed with the help of a footing that is fixed under the surface of earth and the earth lateral pressure is equated against vertical pressure. The whole retaining walls might seem like a L. These types of Cantilevered retaining walls are often constructed in modern days. Another type of retaining walls are sheet piling, which are usually constructed in construction sites. Usually these types of sheet pilling retaining walls are pushed into the earth surface with two third of their length beneath the earth surface and only one third of it's length would be exposed outside. 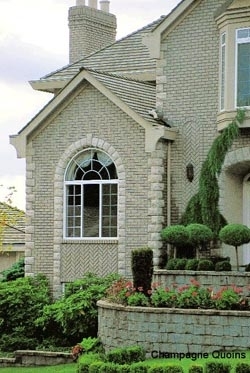 Visit www.clevelandbricksandmortar.com or call 216-210-8225 and get your retaining wall constructed today from best retaining walls contractor in the Ohio state Cleveland and Cuyahoga County area. Some plots of land are flat, some are anything but. If your plot is in the "anything but" category, we can help you make lemonade with it. 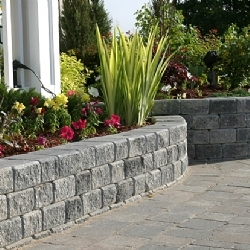 If you need (or want) to build a retaining wall to have a reasonably flat yard, useful for other purposes, or you want to put in a pool (or already have, and now there's a problem), then now may be the time to consider the esthetics of what you can achieve with a retaining wall -- like setting off a waist-high floral garden, or using decorative stonework to create an elegant setting. You could consider using multiple tiers, even though that may not be necessary, so that each tier can provide a layer of greenry or flowers to complement and contrast other layers. Let your imagination run, because beauty can be yours. You might be in a position where art and beauty are not top on your mind. 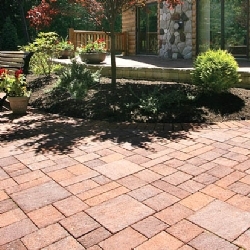 Perhaps your top-most thought is to keep your front yard from cascading into your driveway. We understand simple needs and simple solutions. We have built numerous retaining walls for the simple reason that they are needed, and they need to be sturdy and reliable. And economical. Whatever your special needs might be, we've probably done it before, and will do it properly for you. Even though the focus here has been enhancing your property with retaining walls that make tiered floral gardens and planters, you may be interested in a retaining wall for more practical reasons. If you have been cited for a building code violation we can promptly bring you into compliance. We are licensed throughout Cuyahoga County and we work with all municipalities in the Greater Cleveland area .